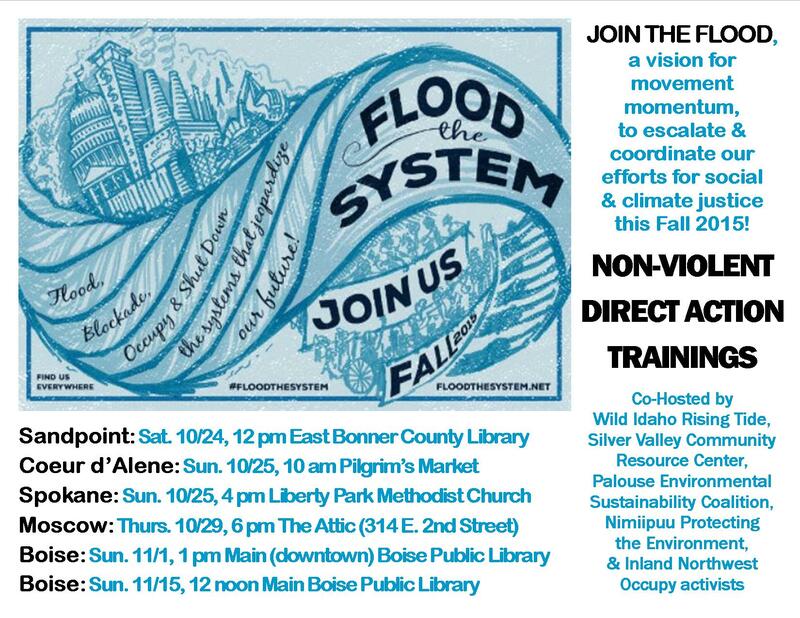 The Monday, October 26, 2015 Climate Justice Forum radio program, hosted by Wild Idaho Rising Tide (WIRT), features updates on Rising Tide and allied Flood the System non-violent direct action trainings and actions and issue developments regarding regional, citizen-resisted coal, gas, oil, and tar sands infrastructure. Broadcast on progressive, volunteer, community station KRFP Radio Free Moscow every Monday between 7:30 and 9:00 pm PDT, live at 90.3 FM and online, the show covers continent-wide, climate and indigenous activism and frontline, grassroots opposition to corporate extreme energy projects, thanks to the generous, anonymous listener who adopted program host Helen Yost as her KRFP DJ. 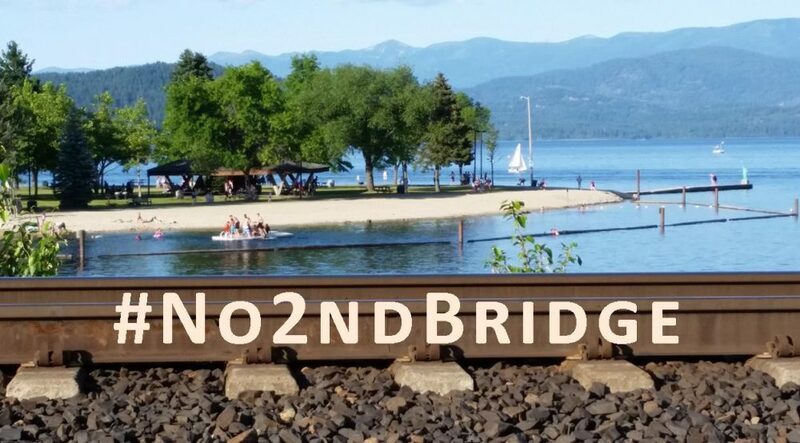 The Monday, October 12, 2015 Climate Justice Forum radio program, hosted by Wild Idaho Rising Tide (WIRT), features news about upcoming, regional, climate activist events and allied Flood the System actions. Broadcast on progressive, volunteer, community station KRFP Radio Free Moscow every Monday between 7:30 and 9:00 pm PDT, live at 90.3 FM and online, the show covers continent-wide, climate and indigenous activism and frontline, grassroots opposition to corporate extreme energy projects, thanks to the generous, anonymous listener who adopted program host Helen Yost as her KRFP DJ. The Monday, October 5, 2015 Climate Justice Forum radio program, hosted by Wild Idaho Rising Tide (WIRT), features news about upcoming Idaho and Montana climate activist events, Colorado and Utah anti-fossil fuels actions, a Nebraska landowner lawsuit victory over the Keystone XL pipeline, and growing Oregon resistance to‎ a natural gas pipeline and export facility after their recent government approval. Broadcast on progressive, volunteer, community station KRFP Radio Free Moscow every Monday between 7:30 and 9:00 pm PDT, live at 90.3 FM and online, the show covers continent-wide, climate and indigenous activism and frontline, grassroots opposition to corporate extreme energy projects, thanks to the generous, anonymous listener who adopted program host Helen Yost as her KRFP DJ. Presented by the Palouse Environmental Sustainability Coalition, the Unitarian Universalist Church of the Palouse Green Sanctuary Committee, and the Palouse Citizens Climate Lobby (CCL), this award-winning documentary demonstrates how corporate-hired pundits, posing as scientific authorities, spin the truth and confuse the public about well-studied, industry-produced threats such as toxic chemicals, pharmaceuticals, tobacco, fossil fuels, and climate change. Admission accepting donations toward the free, public screening of the movie, produced by filmmaker Robert Kenner and inspired by the acclaimed book by Naomi Oreskes and Erik Conway, starts at 6:30 pm. A concluding panel discussion will feature UI professors Tom Bitterwolf and Kenton Bird and CCL representative Mary Dupree.